Arizona’s professional sports teams have wandering eyes. Three of the state’s four major clubs – the Phoenix Suns, Arizona Coyotes and Arizona Diamondbacks – want to move into new, swankier venues, and all three are getting antsy. 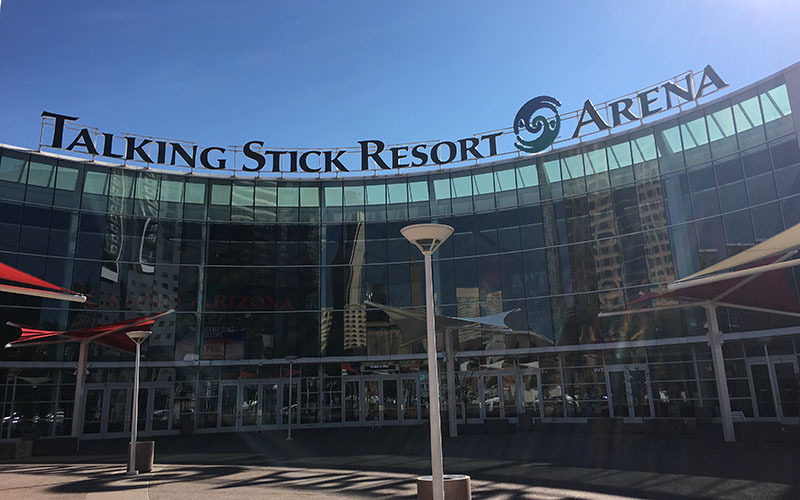 The Suns have told the city they will seek a new home when their lease at downtown’s Talking Stick Resort Arena ends in 2022. They moved into the arena in 1992. The Coyotes, whose lease is up next year, have had tense relations for years with the city of Glendale, to the point the team almost broke its lease and left the state several times in the past few years. They want a new arena as well and are looking elsewhere. 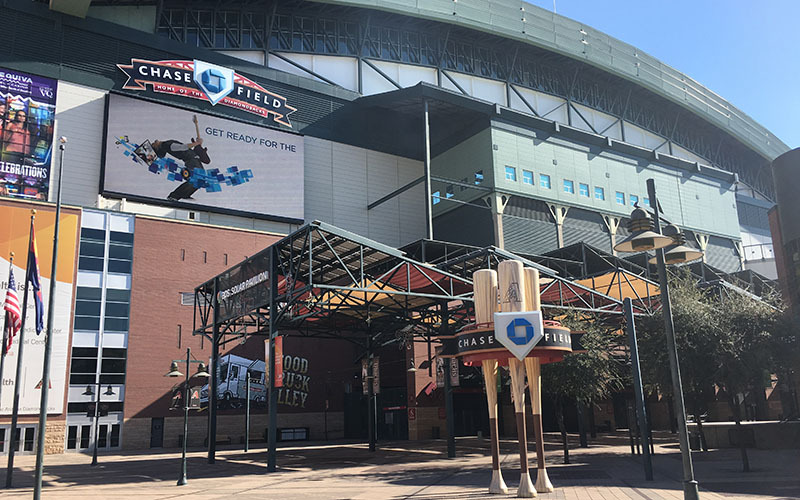 The Diamondbacks saw their discontent with Maricopa County, which owns Chase Field, bubble over in the past month, leading to public disagreements and a course seemingly set for litigation. What triggered this chain of events that could end with all three teams vacating their current locations within the next decade? Here’s a closer look at each team’s situation – something the Salt River Pima-Maricopa Indian Community, which has land ready for development, is watching closely as well. “We absolutely (are),” the community’s marketing project manager Blessing McAnlis-Vasquez told Cronkite News. The Diamondbacks agreement with the owners of Chase Field, the Maricopa County Stadium District, was struck March 1996 and runs 32 years, through 2028. But the two are at odds 20 years into the agreement. The Diamondbacks displeasure with the county’s management of the stadium became public and they evinced a desire to either move out of Chase Field or seek alternative ownership of the stadium. The Diamondbacks argue the stadium district has failed to raise sufficient funds to keep the stadium in “state-of-the-art” condition. The team has referenced a joint facilities assessment, which they say calls for as much as $187 million in repairs and improvements. Claiming the district is responsible for the repairs and improvements, the team wants to be let out of the clauses in the agreement that prohibit it from seeking possible relocation. The district has refused outright. It claims the $187 million in repairs and improvements is the team’s responsibility, with the exception of concrete and steel repairs that they say make up less than a quarter of that figure. They also say they intend to fully fund those costs. The county spelled out those disputes in a letter to the team provided to Cronkite News that included a line-by-line recitation of the agreement the two parties signed in 1996. The team responded with a statement that indicated their frustration with what they called “four years of disingenuous dialogue.” The Diamondbacks have spoken publicly about intentions to take the dispute into court. The county claims the agreement provides for only “alternative dispute resolution process.” According to the agreement, this may include a “neutral evaluation process” and binding arbitration. The team has also said publicly it would rather work with the city of Phoenix than Maricopa County. While the city has said it would be willing to consider becoming involved, Mayor Greg Stanton has made it clear the city has no further money to provide if it were to take over ownership of the stadium. However, the city has the ability to issue bonds that could help cover costs, while the county does not. Watching these disputes with interest is a fourth party that would be happy to provide alternative lodging for the Diamondbacks and other teams. The Salt River Pima-Maricopa Indian Community, which owns enormous swaths of land on the east side of the Valley, has not been quiet about its desire to bring one or more teams to its ample real estate. The Community has become, as McAnlis-Vasquez said, an “economic powerhouse,” already having brought the Diamondbacks and Rockies spring training facility to their land to rousing success. McAnlis-Vasquez said the entire corridor of the Loop 101 Pima Freeway from McDowell Road to 92nd Street is available for development. “There are several parcels along that route that would be available,” she said. For now, at least, those conversations with the Diamondbacks will have to remain informal; the team is barred from seeking a new home until the final four years of the agreement with the county. In the meantime, the Pima-Maricopa Community has put its stamp on Valley sports facilities already. Talking Stick Resort Arena, home of the Suns, gets its name from a Pima-Maricopa property. Just a block away from Chase Field, the arena situation involving the Suns is slightly more peaceful. But the team’s long-term future there is no more certain. The city of Phoenix owns the stadium, and Stanton has been public about his understanding with the team. “The team has told me that in the near future, it will begin to look for a new home,” Stanton said in his State of the City address April 20. The mayor said he is committed to work with the team to keep the Suns and the WNBA’s Mercury, not only in Phoenix, but downtown. Predictably, Suns president Jason Rowley is keeping his options open. Would the Suns consider working with the tribes? Though Stanton said he won’t raise any new taxes to fund the project, he referred to an existing balance in the city’s sports-arena fund earmarked for such an undertaking. But beyond simply committing to keeping the Suns downtown, Stanton has grander ambitions. And they affect the third team looking for a new home. 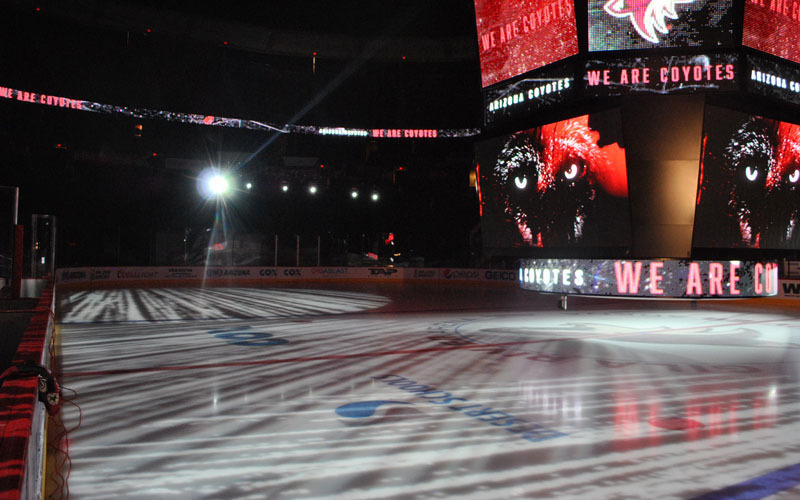 The Coyotes have been at odds with Glendale for the past several years. The city canceled a 15-year lease with the team at Gila River Arena last year, the latest in a series of events in the parties’ tumultuous and often contentious relationship. The team has come close to relocation several times in the past few years, but has been saved at the 11th hour. Much like the Diamondbacks quandary, another party is monitoring the situation in Glendale. In this case, however, the interested eyes watching the dispute are from a location central to the Valley. In the State of the City address in which Stanton announced that that he wants to build a new arena for the Suns, he laid bare his intentions for the Coyotes to share that building. “The contract the Coyotes have with Glendale is only for one more year,” Stanton said. “So I’m not trying to take them away during the course of the contract, but it’s been made clear by the team that after next year they’re not going to be in that arena anymore, and I want to make sure that the Coyotes have a home here in our region. In his public comments, Coyotes owner Anthony LeBlanc has included Phoenix among three possibilities for the team, if they are to stay in Arizona. The other two are Tempe and the Salt River reservation. But the Coyotes are not staying in Glendale. The city of Glendale did not respond to a request for comment. LeBlanc also clarified how a deal with another municipality would need to work. “What we have identified are three potential locations in and around the Valley that are, for lack of a better term, plots of dirt that are generating how much tax revenue? Zero. Absolutely no tax revenue,” LeBlanc said. “We’re saying, a portion of those monies should flow back into the project. A home for the Coyotes is expected to be announced soon. Until then, the three Arizona franchises will continue to wander in the desert, searching for a home.